Posted by Lane Rocks on Thursday, December 21st, 2017 at 10:20pm. It’s easy to see why buyers and sellers get the home appraisal and the home inspection mixed up. 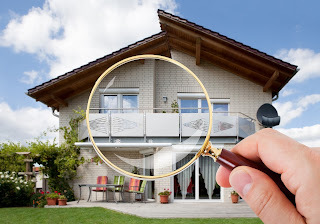 Both involve an expert visiting the home, and it’s easy to think of both these visits as “inspections.” However, home appraisal and home inspection are different professions, just as the appraisal and inspection serve very different purposes. In this post, we’ll take a look at what both the appraiser and inspector do during a home visit, and what the appraisal and inspection mean for the home-buying experience. The home inspector’s inspection will be a much more detailed process, lasting two to three hours for a typical home. While some issues a home inspection might turn up could affect the value of a home, the main purpose of the inspection is to help the buyer assess risk. Some defects may be cosmetic, other problems could be more serious, requiring costly repairs to protect a homeowner’s investment. The primary purpose of a home appraisal is to determine what’s called the market value of the home. To do so, the appraiser will conduct a walk-through, research comparables, and draft a final report. During the walk-through, the appraiser examines both the interior and exterior of the home. Outside, photos of the front, back, and sides of the property are taken. Obvious damage to the exterior structure will be noted, while value-added features, like pools and patios, will be noted as well. The appraiser will take measurements, confirm the location of the property and the size of the lot and note general features of the neighborhood (density, upkeep, etc.). Inside, the appraiser will verify the number of bedrooms and bathrooms, including that each reported “bedroom” has a window and closet. The expert will measure the square footage of the home, look for obvious damage and note whether heating and cooling systems appear functional. The appraiser will also note upgrades that could improve the value of the home, such as finished basements and the presence of any permanent, built-in appliances. With the walk-through complete, the appraiser next looks for comparable homes. A home’s “comps” are a set of properties that are similar to the appraised home in size, location and style. For most appraisals, the appraiser looks for recent comps that have sold in the last 90 days. Comps are dependent on the local market, though, so in rare cases, an appraiser may need to look in comparable neighborhoods further away or use older home sales due to a lack of recent local sales. Using notes from the walk-through and data from sales of comparable homes, the appraiser will draft a final report. The report will list all the information gathered from the appraiser’s visit as well as detailed info on the comps used. The report will make an expert determination of the market value of the home. That info will be used by the lender to determine whether to approve financing to a buyer. Lenders won’t approve financing for an asking price that’s higher than the appraised value of the home, since the home serves as collateral for the loan. This makes the appraisal an important part of the process for lenders. In contrast, home inspections are not relevant to the lender, but provide significant valuable for the prospective homebuyer. If an appraiser’s visit to the home is a walk-through, a home inspector’s visit might more accurately be termed a crawl-through. Inspectors will examine every accessible part of the home looking for wear, damage, hazards and other issues that could affect the buyer’s investment. An inspector will examine crawl spaces, attics, water heaters, furnaces, foundations, land grading and more. An inspector’s checklist is longer than an appraiser’s and may take several hours to complete depending on the size of the property. Unlike appraisal walk-throughs where the seller and buyer don’t participate, home inspectors may encourage potential buyers to tag along on the inspection, discussing issues and their severity as they’re uncovered. However, buyers should also be aware of the limitations of an inspection. While the inspector will view every nook and cranny they can, they don’t have x-ray vision and can’t predict the future. Some issues may go unseen behind walls, and others may not materialize until after the closing. Whereas the appraiser is legally obligated to perform their function as an unbiased third party, the inspector is hired by the buyer to protect the buyer’s interests. The inspector works for the buyer, and is obligated to give feedback on the home and its condition in a way that educates and therefore protects the buyer from otherwise unforeseen problems. For buyers who want to protect their investment, that’s a valuable asset to have in their corner. Despite their different roles, there are still some commonalities between appraisers and inspectors. Both are professionals that you can expect to do their jobs impartially. Neither expert is paid a commission on the sale of the home, so they have nothing to gain or lose from whether or not the sale goes through. For this reason, you should feel confident that you’ll get an unbiased property valuation from your appraiser and a neutral home inspection report from your inspector. Both the appraiser and the inspector play an important role in the homebuying process, and when they’ve successfully performed their duties, they can give buyers confidence that they are making the right decision to buy or walk away from a home. Content courtesy of Title Source.